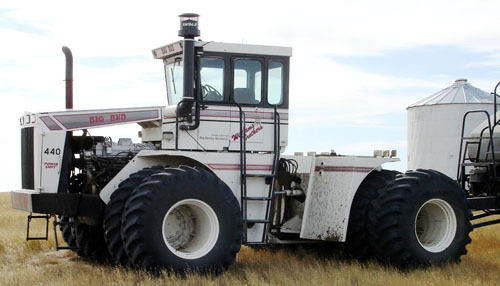 The World's Largest Farm Tractor! 16V 747 Big Bud has 1100 Horsepower! Please call the museum a day in advance to schedule your tour. Home of the worlds largest farm tractor! 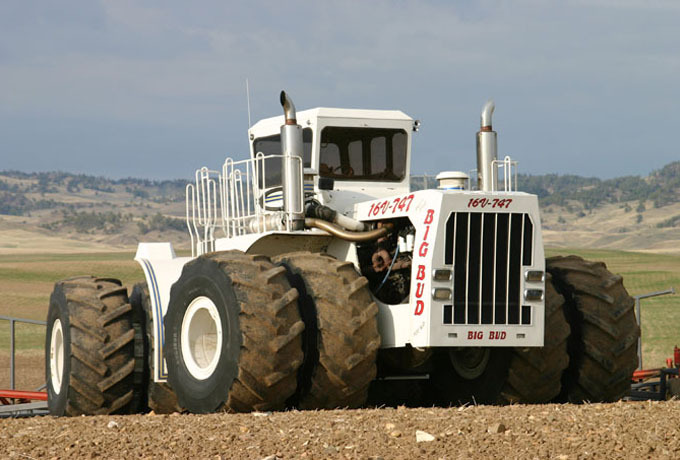 Here you can find information about us, our farm, the Big Bud 16V 747 toys and collectibles, and of course the one and only Big Bud 16V-747. Make sure you check out our Big Bud Videos page and don't forget to watch the Big Bud 747 Book video below. Thanks for visiting. Please take the time to sign our Guestbook and feel free to leave some feedback. The Big Bud has moved! Please take the time to sign our guestbook and feel free to leave feedback. We'd love to hear from you! We have Tractors and Toys, Clothing, Books, Prints, Puzzles, Cards & More! See the Big Bud in Action! Watch these magnificent videos to truly understand the beauty of this amazing tractor!